The Apple Watch underwent many iterations and refinements before its designers felt it would be comfortable to use on the wrist, including over a year of adjustments on the Taptic Engine alone, according to a new profile published on Thursday. 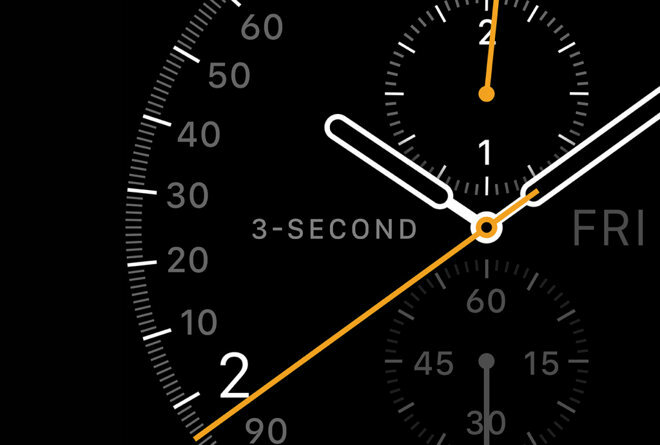 The new details on development of the Apple Watch come from Wired's interview with two of the key people behind the device, namely human interface designer Alan Dye, and vice president of Technology Kevin Lynch, who oversees the Apple Watch software. Lynch said he didn't know what he would be working on when he was hired by Apple, and that the project was not only already underway when he arrived but had a design review in two days. At this stage there was no working prototype or software, and at one point the iPod team had devised a concept with a clickwheel. Dye explained that the idea of a watch grew out of design meetings for iOS 7. iOS had to be reworked to fit a much smaller medium however, and some of the earlier prototypes used a vertical timeline interface. While Pebble has made that concept work with its upcoming Time smartwatch, Apple found that interactions took too long given the discomfort of holding an arm up for more than a few seconds. Along those lines, the Watch interface evolved through three major iterations with the goal of keeping interactions down to a few seconds. If a feature didn't fit with the philosophy, it was cut. The device's Taptic Engine —which handles haptic feedback —spent over a year in fine-tuning. In weekly meetings, the Watch team would review how different interface events felt. Lynch said that some vibrations were too annoying, or alternately too subtle, or even felt "like a bug on your wrist." To properly link feedback to events like a Twitter post or a text, the company sampled a wide range of different sounds, such as birds and lightsabers, then translated them into haptic form. Dye lastly notes that "personalization and beauty are everything" with watches, which is why things like different bands and screen sizes were an emphasis from the beginning of the project. The company has also spent an unusual amount of time on interface customization, adding a variety of watch faces and customizable widgets. The Apple Watch is due to ship on April 24, with preorders and in-store trials of the device beginning on April 10.